As a student pilot I’m learning new things everyday, feeling sufficiently overwhelmed, and still finding roadblocks at every turn. The most significant of which is acquiring a plane to do my flight training. I have secured an instructor, begun reading everything I can get my hands on about aviation, taken a few online lessons and joined a few aviation organizations. But I have fizzled out in the way of actually leaving the surface of the earth outside of the charity of some local pilots that let me go up with them. 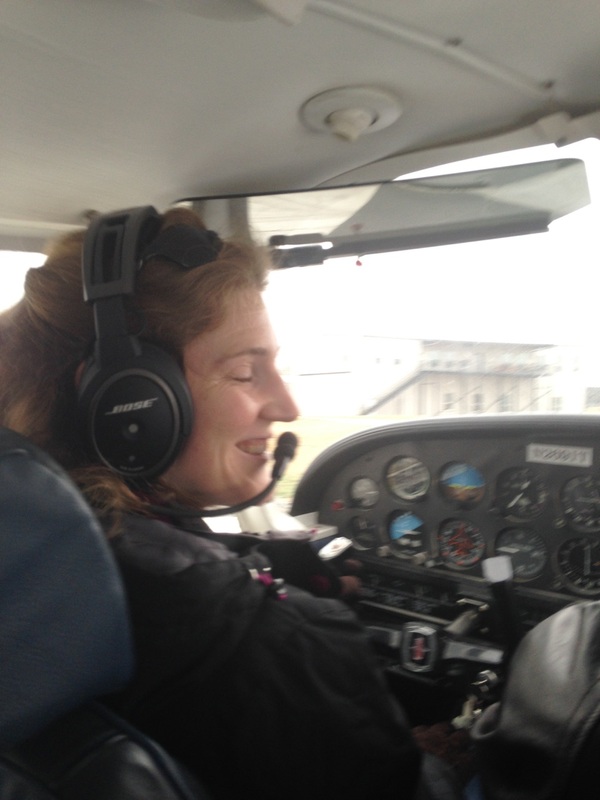 My first plan was to rent a plane from a local flight school. I have not yet heard the end of “what a stupid idea” that was. To date, eight pilots have told me the rates the flight schools charge to rent is outrageous and inexcusable. With that idea out, I asked my pilot friends what they would recommend. They all said if I was serious about getting my license, the most economical way to go was to buy my own plane, or join a partnership in a plane. The theory goes something like this: planes do not depreciate in value. The price is driven by the technology inside each plane. A basic plane to train on would run me about the cost of a new car. When I was ready, I could sell the plane for what I bought it for provided it was still sound. For the next few weeks I spent all of my spare time looking at planes online and posted to local message boards. Indeed, I found lots of planes from 1945-1990s with varying equipment inside all somewhere between $17k-22k. Some of them even had wings still attached to the fuselage (many, oh so many did not). I wasn’t planning on owning a plane anytime soon, it would mean taking out a loan, but it made financial sense if I could make my money back. Then I learned the cost of buying a plane is the least expensive part of plane ownership. Once you have the plane you have to put it somewhere and hangar space is not cheap (some T hangars cost more than my house). Plus there’s the maintenance, also not cheap. This is not to mention the insurance on the plane which, as a student, can get pricey. Then there are the taxes, the engine rebuilds, the annuals and so forth. I did a lot of research and I still don’t feel like I know the half of it when it comes to plane ownership. That option was out. Next I turned my sights to joining a partnership in a plane. Long story short, lots of people are looking for partners…provided the new partner already has a license. I can’t say I blame them. If I had a plane I wouldn’t let a student take it up and practice landings in it. To be fair, I would feel a little uncomfortable being that student that is practicing my landings on a plane multiple other people own and depend on using later that day. Not to mention the insurance rate changes when you bring on a student. That doesn’t seem fair to the others. So, I mentioned my quest for a training plane at lunch one day with some pilots and they said “why don’t you join the local club?” Club? What club? There’s a club? Indeed. Many airports have flying clubs that rent planes out to members upon request. The membership and rental rates are reasonable (especially considering they are often cut in half for student pilots) and as long as I schedule a plane before someone else does, I can have it to train on when I need. It just so happened the director of the local flying club was eating lunch in that same cafe that day, so I had a chance to meet him and interroga…..ahem…..ask him some questions. Here’s the catch: there are already sixteen members, and they have only two planes. It gets better. Next month, the owner of one of the planes is taking it out. If you’re doing the math, once I join that’ll be seventeen members and one plane. Can it get more disheartening, you ask? It can! Apparently there are no rules within the club about keeping the plane overnight or taking it for a weekend. There is no maximum hourly rental, so in theory someone could rent the plane from the club and have it all weekend, or for a week, or for a month. Better yet, if the plane needs maintenance, too bad everybody. It’s not the best option, but it is currently my only option. I checked around. The other airports near my house are more selective in their club members. A random student pilot not enrolled in any formal training program is riff raff to them. So, I’m joining this less snobby flying club in hopes of ever having access to their one plane to train on…unless a better option comes along. For sauce stir together pineapple juice, water, vinegar, soy sauce, cornstarch, onion, powder and red pepper and ginger. Set aside. Preheat wok or skillet, add oil, stir fry broccoli for 2 minutes. Remove. Add chicken 1 to 2 minutes and push from center of wok. Stir sauce, add to center of wok. Cook and stir until thick and bubbly. Cook and stir 2 minutes more. Cover and cook 1 minute. I’ve just found the most wonderful group called the Ninety-Nines! 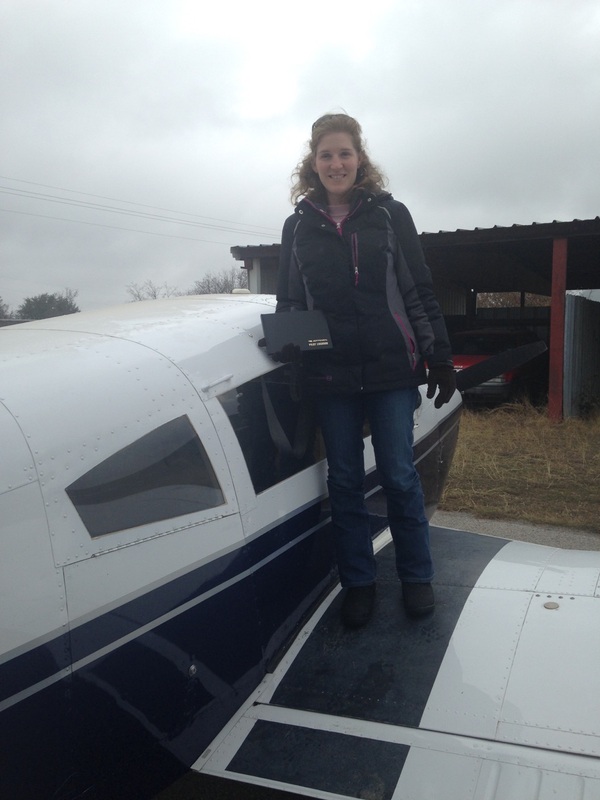 Its an organization of women pilots that provides mentorship, scholarships and good old fashioned camaraderie. 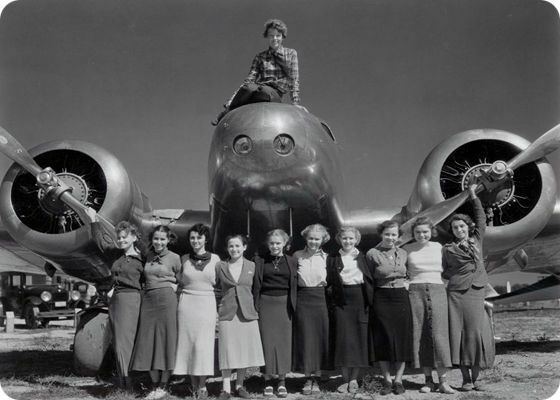 It all started back in 1929, the same year women were allowed to participate in their first air race, and it was originally headed up by none other than Amelia Earhart herself. A collection of ninety-nine licensed female pilots came together for the mutual support and advancement of aviation and the rest is history. Today the Ninety-Nines is an international organization that even supports three online chapters for those that live in areas without a local chapter. I contacted my local chapter, joined up right away, and have already spent a priceless day hanging out with another female pilot. She told me about the other members of my local group which include a national flying mentor (which can fast-track me to a commercial license), one trained in the space program (there were only 13 women in that program), and a family with three generations of female pilots (certified in every acronymn you can list). These groups do “fly-outs” to various points of interest, have the connections to tour airplane manufactoring plants and try out commercial flight simulators at hub airports, and are involved in every facet of aviation today. I’m so excited to be part of this organization! Winning! Sauté all chopped veggies except tomatoes. Lower heat to medium and add tomatoes, stock, basil, oregano, salt, pepper, and chili powder. Bring to boil. Puree soup to uniform consistency, or leave chunky if you like. Serve and top with a dollop of plain Greek yogurt. Recently we’ve found the exact opposite applies to purging our stuff before a big move. You rule out the big things first and whittle your way down to those kitchen gadgets and extra dog leashes to fit in your vases and stuff in the car. The first thing we sold once we decided we were moving to Oregon was our truck. Followed by the pool table. Which was followed by an armoire. Now we’re trying to decide if we need to take our bed or if two hammocks will do. (Oh, it should be mentioned I find my two person hammock so much more comfortable than our bed and sleep like a baby in that thing!) Next up is the formal dining room set and our guest bed. We barely used this stuff while we lived in our house, it is silly to pay to move it to a new place where we will barely use it all over again. The big stuff becomes the little stuff and the little stuff becomes the important stuff. True to moving, and to marriage. I would rather be ashes than dust. I would rather that my spark should burn out in a brilliant blaze than it should be stifled by dry-rot. I would rather be a superb meteor, every atom of me in magnificent glow, than a sleepy and permanent planet. The function of man is to live, not to exist. I shall not waste my days trying to prolong them. I shall use my time. Sprinkle steaks with 1/4 teaspoon pepper and salt. Heat 1 tablespoon oil in large skillet over medium heat. Cook steaks method of choice – grill, stovetop – until done to your liking. Add remaining 2 teaspoons of oil to the pan. Add mushrooms, shallot, thyme and remaining 1/8 teaspoon pepper. Cook for a few minutes until the mushrooms wilt. Add flour, stir to coat. Add broth and sherry. Cook, stirring until thick enough to coat the back of a spoon. Remove from heat. Stir in Greek yogurt. Return steaks and any accumulated juice to the pan and turn to coat in the sauce. Place steaks on serving plates and drizzle with sauce. You are a tough one to pin down. The Republicans say it’s a terrible time for job-seekers while the Democrats say it’s a fantastic time. Once, not so many years ago, a fast learner with a can-do attitude and a college degree could find work. Now, the most basic, entry-level jobs require 2-5 years of experience, a specific degree, certifications and known contacts on the inside. How does one ever switch careers anymore? When did the workforce get so specialized that you could only have one career path from puberty to retirement? Once an Environmental Services Specialist was a Trash Collector, a Chemical Agricultural Aviator was a Crop Duster, and a Student Services Representative III was an Academic Counselor. What happened to our job titles? Why are they so vague we aren’t even sure what it is we are applying for anymore? How are we to know the search terms we need when a Technical Writer could be listed as a Technical Communicator, Collaborative Editor, Copy Editor, Copywriter, Graphic Designer or Copy Analyst? We also request to see your compensation sequence. Why does a ticket taker at a ball game make the same as a Sign Language interpreter? Why do the jobs with more physical labor, longer hours, higher medical risk and more time spent in the elements make considerably less than 8-5 office jobs? Why does it take as many years and certifications/licenses to train for a blue collar job as a white collar job? The idea behind “America: the land of opportunity” was that there was work for all skill levels and opportunities at advancement with experience and education. We have forgotten this. Our basements and couches are filled with college graduates that can’t find work for a living wage. Our shelters and ghettos are filled with skilled workers whose jobs were not as important as shareholder profits. What has happened that our oldest working generation can’t afford to retire? Please open entry-level positions with on-the-job-training for the myriads of people that have served in our military, returned from the Peace Corps, raised a family, changed our minds about joining the family business, been laid off, are relocating, or for many other reasons find ourselves past our 20s and searching for work. Encourage more companies to offer internships based on competency criteria to people who are not college students. Grant us a chance to join your ranks. We are eager. We are capable. We will make you proud. Fill the center of each tortilla with a handful of shredded chicken, a tablespoon of corn, and a pinch of the shredded cheese. Roll and place in the bottom of a 13 x 9 baking dish with the seam side down. In a pot over medium heat, melt the butter. Add flour and whisk into a thick paste. Add chicken broth, cream of chicken, sour cream, chilies, salt and pepper.